The definitive guide to the films of the legendary director, screenwriter, and producer. Looking for a comprehensive chronicle of the films of legendary director, screenwriter, and producer John Hughes? 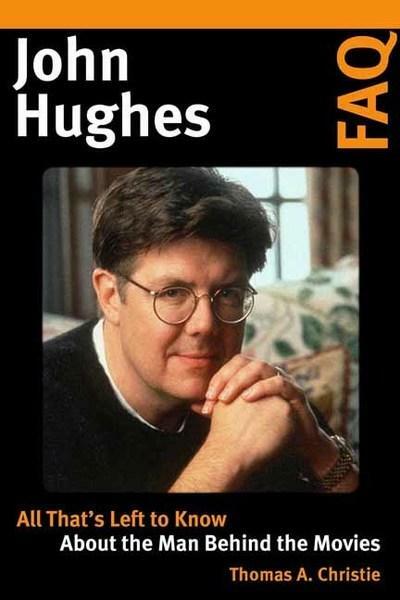 Covering the entirety of Hughes’s career, from his earliest features through to his mainstream box-office successes, John Hughes FAQ explores the key factors that contributed to his legendary status in the world of cinema. While Hughes has become especially well known for the eight films that he directed between 1984 and 1991 — including Sixteen Candles (1984), The Breakfast Club (1985), and Ferris Bueller’s Day Off (1986) — he made a considerably greater contribution to cinema through the dozens of high-profile screenplays that he developed for production throughout the ’80s and ’90s. John Hughes FAQ investigates many different aspects of Hughes’s prolific career in film—discussing his distinctive flair for creating entertaining and engaging characters, his enthusiasm for new technology and eventful road trips, and his insightful social commentary on class and culture. Considering the entire sweep of Hughes’s work behind the camera, John Hughes FAQ focuses not only on the popular classics of his filmography but also on many of his movies that have achieved a certain cultural prominence over the passing years. John Hughes FAQ covers many facets of Hughes’s cinematic works, including the music, the fashions, the technology, and the many cultural references which wind their way through his diverse filmography. There is also discussion of the many distinctive characters who populated his films, from unlikely heroes to hapless antagonists, as well as his love for the United States, his observations about cultural change, and the influence of his work on later film-makers. John Hughes FAQ is my attempt to examine the many different factors which lay behind the significant and lasting legacy of Hughes’s career. This involved not only a discussion of the films themselves, but also the various themes which were established throughout his many screenplays across genres which ranged from teen movies to mainstream comedies by way of family features. Hughes was a prolific screenwriter, and his directorial output remains influential even today with his ground-breaking eighties movies in particular proving to be synonymous with discussions of the decade of their production. With an opportunity to address his affection for Chicago and Illinois, his literary and cinematic allusions, the box-office performance of his films, and the screenplays written under his pen-name of Edmond Dantes, John Hughes FAQ covers the length and breadth of one of modern American cinema’s most singular cinematic careers, celebrating the much-loved and long-admired work of a truly unique talent.